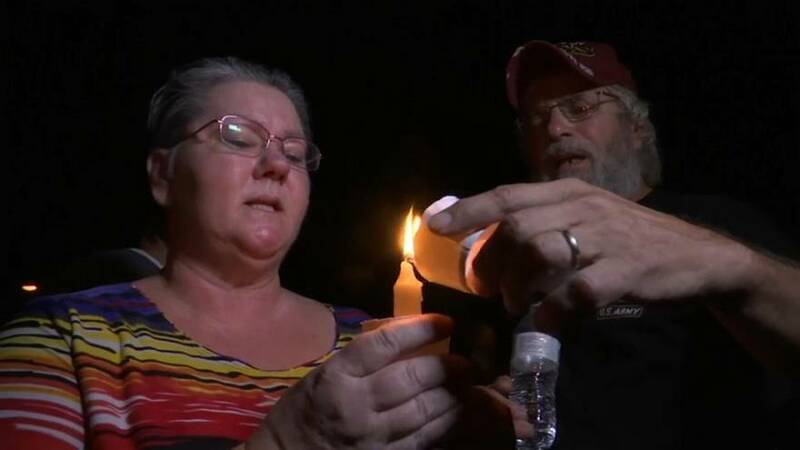 Dozens of mourners gathered outside the tiny church in Sutherland Springs, Texas, to mourn the 26 people killed there on Sunday. Local people carried candles and said prayers for the dead and injured. Texas Governor, Greg Abbott, also joined the groups of local people who expressed shock and grief. The gunman has been named as Devin Patrick Kelley, a married 26 year-old who was dishonourably discharged from the Air Force 2014. He was later found dead. Donald Trump, who is in Tokyo, responded to the shooting by saying guns were not to blame, instead insisting that it was a mental health issue.